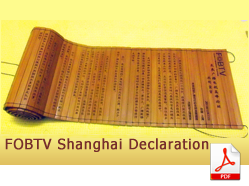 Going to IBC2013? 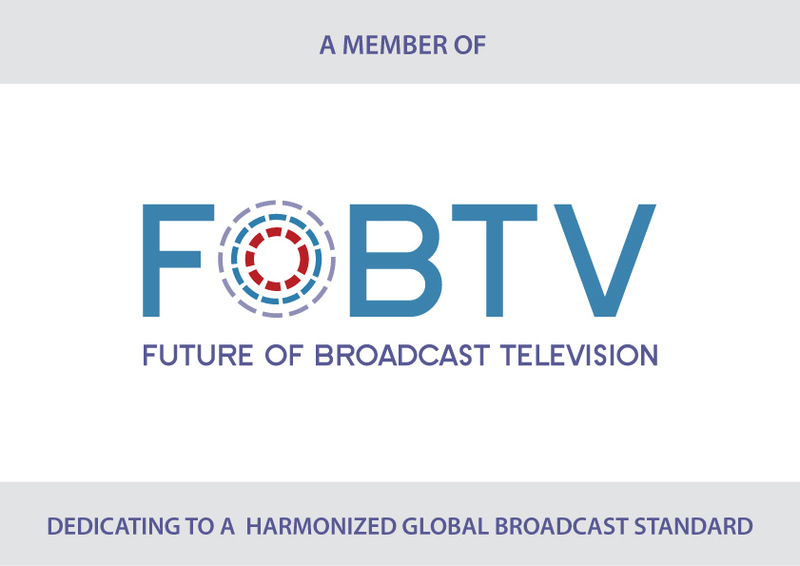 Let FOBTV Membership Poster and Brochure help your company known to all as a dedicating contributor to a Harmonized Global Broadcast Standard. You can download the poster and brochure by clicking the link below and get printed brochures at RAI Exhibition center. To date it has not been possible to take full advantage of the convenience and economies of scale that a single, global broadcast standard might bring but there is hope that a new global initiative has the will and authority to succeed. LAS VEGAS, April 25, 2012 – The Management Committee of the Future of Broadcast Television (FOBTV) Initiative, which was officially formed in Las Vegas last week during the NAB Show, today announced its leadership team. 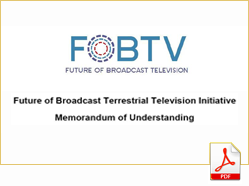 LAS VEGAS, April 17, 2012 – Technical executives from 13 television broadcast organizations from around the world today completed signing a landmark memorandum of understanding (MOU) to officially form the global Future of Broadcast Television (FOBTV) Initiative.